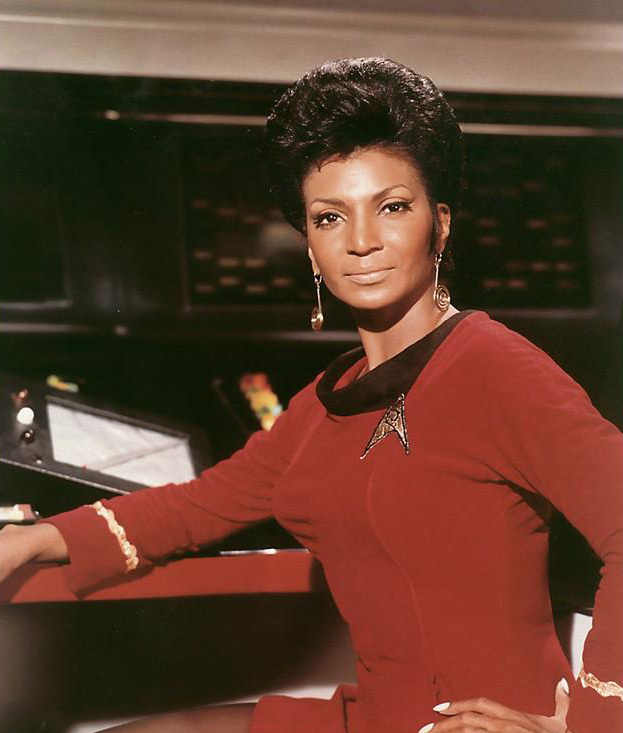 Nichelle Nichols, left, played Lt. Uhura on the original "Star Trek" television show. She was the first black woman featured on a television series and shared the first interracial kiss on TV with William Shatner as Captain James Tiberius Kirk. Of course, an alien being had to force him to kiss her and he looked away as he did, but it was 1967. The universe did not collapse on itself. The space time continuum was not affected. The laws of physics did not change. At the end of the day it was just a kiss. But then as now, race in America is perplexing. Remember the "Star Trek episode where two races represented by two men, both with half black and half white faces, but with each color on an opposite side of their faces. When Kirk asked what they were fighting over, they pointed out the difference.